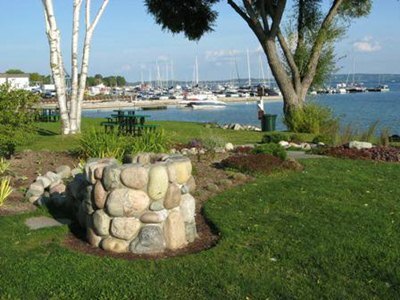 What makes communities like Harbor Springs in Northern Michigan a great place? Easy. Because Harbor Springs is a great place and the downtown area is vibrant and filled with things to do. *A charming, walkable downtown district where you can shop, dine, and explore. *Two beaches within the city limits and just a few blocks from downtown. *A beautiful downtown waterfront complete with green space, picnic tables, and a dock to walk on. *A sailing school for children and adults on the waterfront. *A thriving art community with a variety of art galleries featuring artists-in-residence and a variety of art mediums. *A farmer's market two days a week during the growing season. 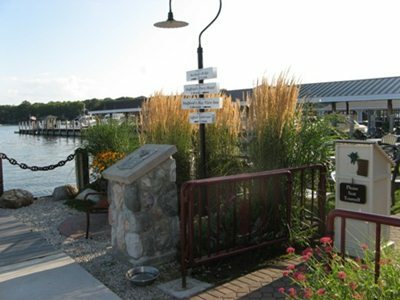 *Celebrations in downtown Harbor Springs such as Street Musique each Thursday evening in the summer, July 4th activities including a parade, fireworks, and an art fair, Taste of Harbor Springs, Waterfront Wine Festival, Sidewalk Sales and Celebration, and Holiday Open Houses and activities. *Park benches throughout the downtown area in front of businesses and along the waterfront where people can enjoy the atmosphere. *A downtown library plus a book store. *The Harbor Springs History Museum and the Andrew J. Blackbird Museum. *Downhill skiing at Nub's Nob. *Downhill skiing at Boyne Highlands. Yes, we have two ski resorts! *Talent and entertainment at the Young Americans Dinner Theatre. *The famous drive along The Tunnel of Trees. *The recently completed Little Traverse Wheelway. *Nature and more at Thorne Swift Nature Preserve. 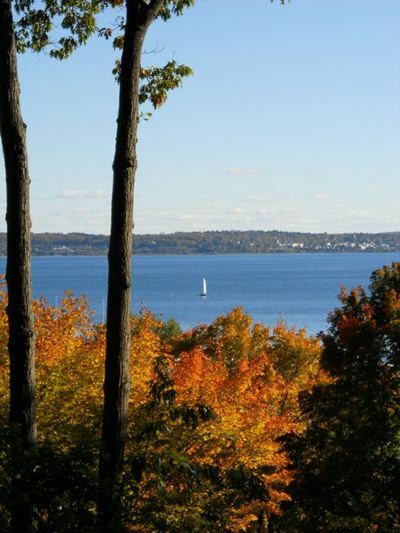 *Sailing and the Little Traverse Yacht Club Regatta.